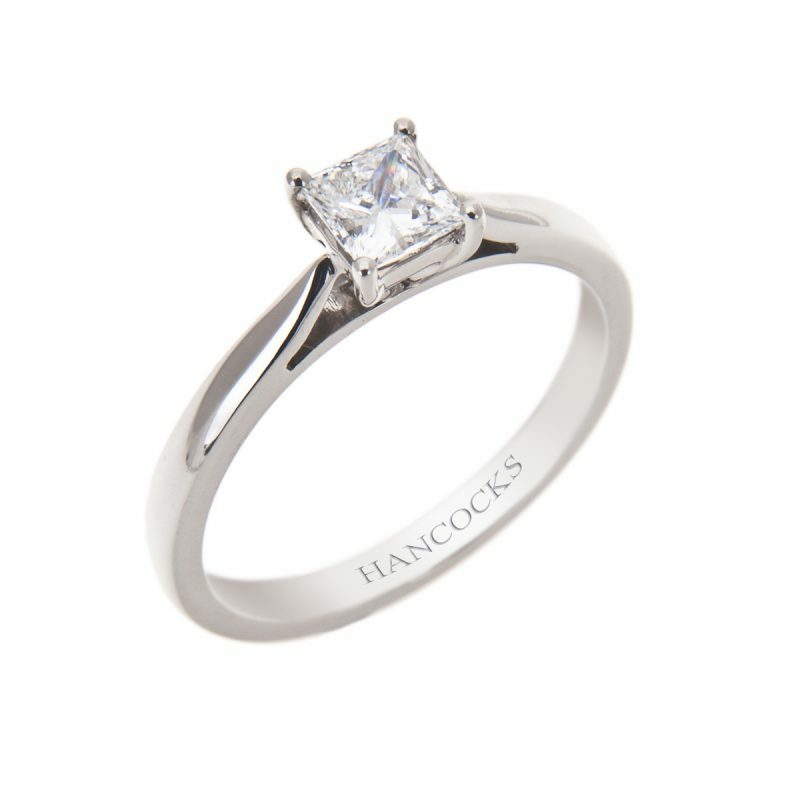 Enjoy the classic styling and clean lines of this beautiful solitaire princess cut diamond ring. 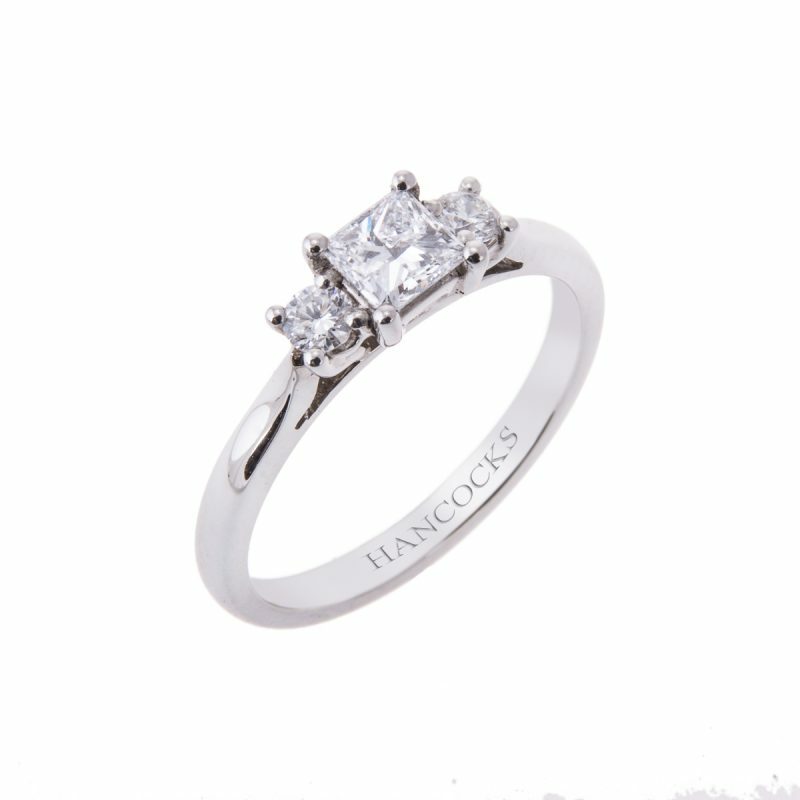 Mounted in a hand crafted platinum claw setting with sweeping under bezels that are designed to allow it to fit perfectly next to any of our wedding bands. 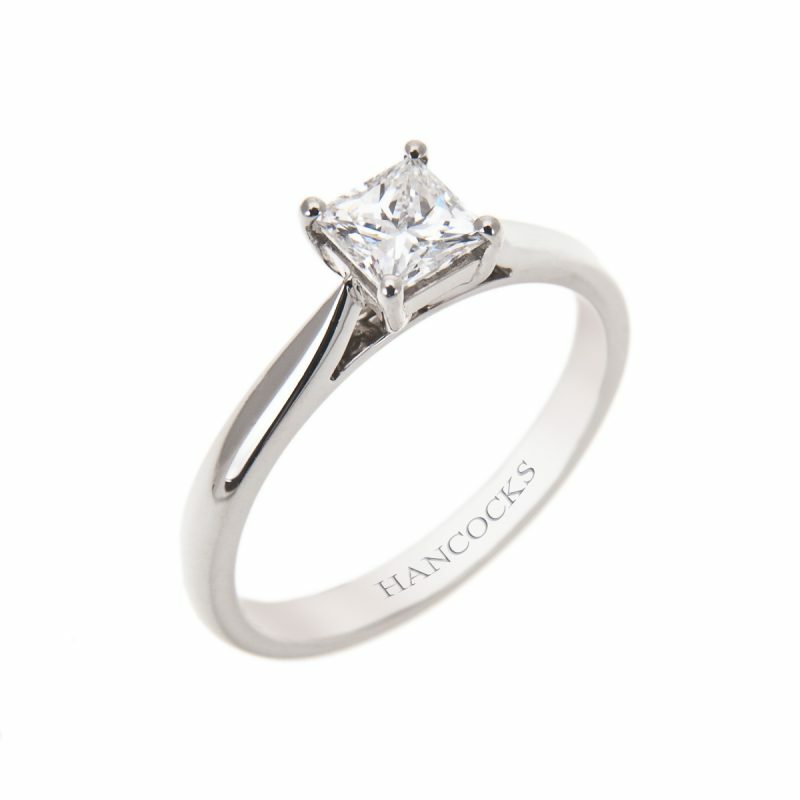 This diamond has been certified by GIA, Gemological Institute of America, the leading authority in diamond grading. 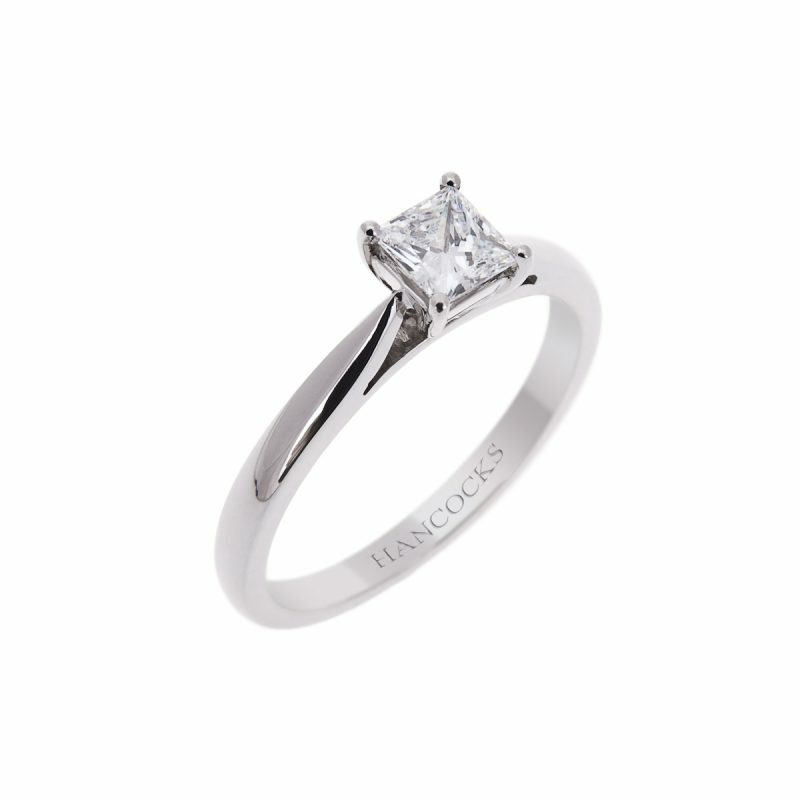 It has been awarded a G colour, making it a truly stunning choice for an engagement ring.